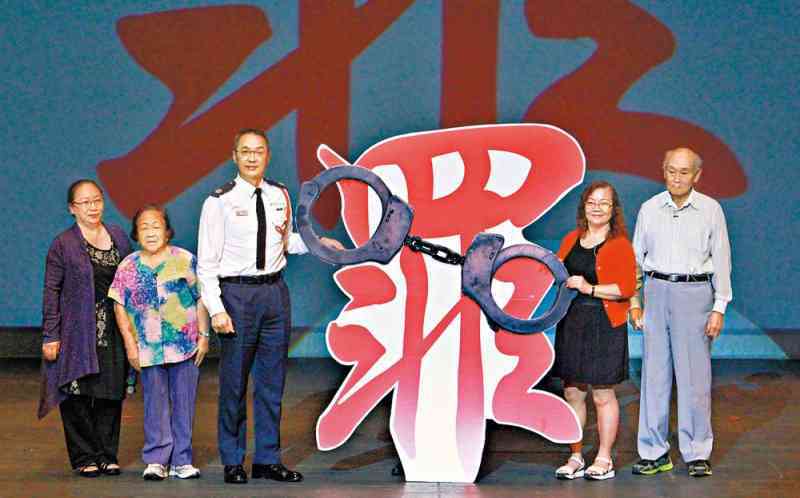 The Regional Crime Prevention Office of New Territories North Region (RCPO NTN) held an award presentation ceremony to commend 96 fight crime ambassadors at Yuen Long Theatre on November 2. The awardees were applauded for their active participation in crime prevention campaigns in the past year. NTN Regional Commander Kwok Yam-yung officiated at the ceremony with Chairmen and members of District Fight Crime Committees, Chairmen and Vice Chairmen of Senior Police Call (SPC) Honorary President Councils in the Region as well as Director of Chu Kwong Charity Foundation Limited Mr Chan Hao-yin. Over 1 100 people attended the event. Apart from staging an anti-deception drama, SPC members from four districts in NTN Region performed a dragon dance and singing. The feedback from the audience was overwhelming.